Classic Car Auction Next Friday! The Classic Car auction is next Friday! With 44 lots entered, the finishing touches are being made to the catalogue as we prepare for the third classic sale of the year. Most of the entries are now at our yard and available for viewing. Why not come down and have a look at what’s on offer? We have an eclectic mix of vehicles from the older classics such as a Ford Consul to the new such as a 1993 Alfa Romeo Spider. Click here to view the entries in the sale. 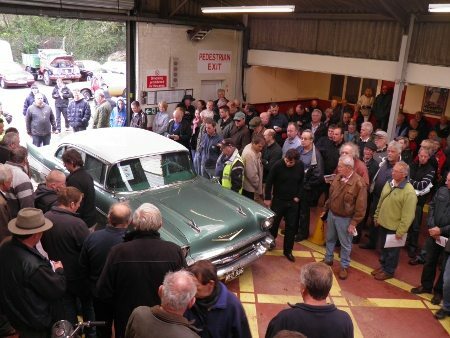 Sign up to our classic car mailing list to receive the catalogue and auction updates direct to your inbox. Click here to visit the signup page. Online and telephone bidding registration opens from Monday 22nd of July.